Thoughout Mexico , our lady of our Guadalupe is honored in churches, market shrines, personal altars, pendants and among activists working for social justice. who. Her day, December 12th, is celebrated with processions and pilgimmages, indigenous dances and fiestas. 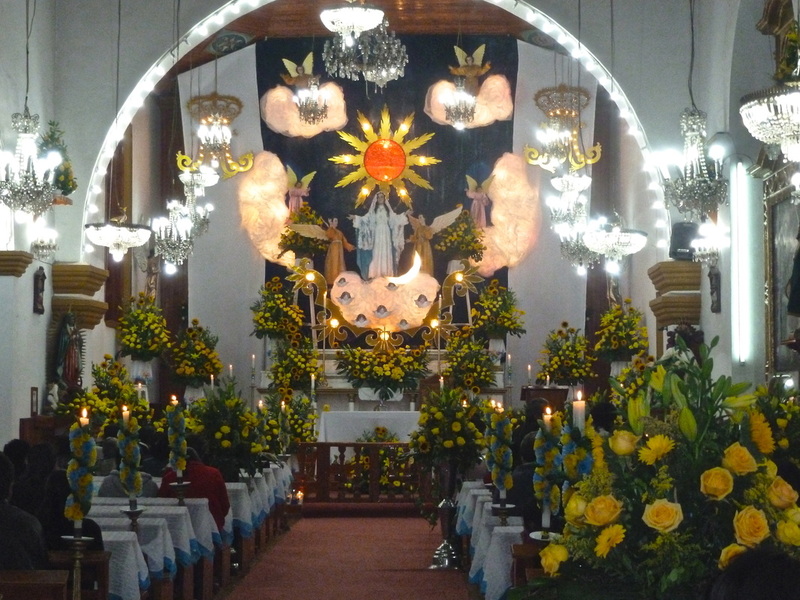 The simple church of Guadalupe in San Cristobal is awash with flowers and pilgrims on this day. From the church site, visitors are also rewarded with a magnificent view of San Cristobal. Tour participants will learn the fascinating story of Guadalupe, her ancient roots as the Nauhatl goddess Tonantzin as well as her role in providing hope and strength to many in Mexico and around the world today. San Cristobal de las Casas, Mexico's southernmost colonial city, is a colorful and vital cultural center. Boasting one of the most beautiful food markets I've ever seen, where avocados, tomatoes and even blackberries are arranged in pyramids atop small brightly painted metal buckets. 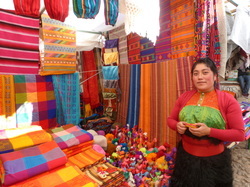 In the extensive artisans market it is easy to get lost in the maze of handwoven textiles, jewelry featuring Chiapan ambar and jade, tableclothes with brightly embroidered sunflowers and earrings crafted from orange peel. The recently renovated Centro de Textiles de Mundo Maya is a world-class museum which displays the finest of Maya textiles in lit drawers ,allowing visitors to get a closeup look at the fine work involved in these traditional pieces. The museums of amber and of jade offer impressive showcases of specimens and carvings made from these local precious stones while the award winning museum of Traditional Maya Medicine, provides a glimpse into midwife and shamanic practices among the Maya. 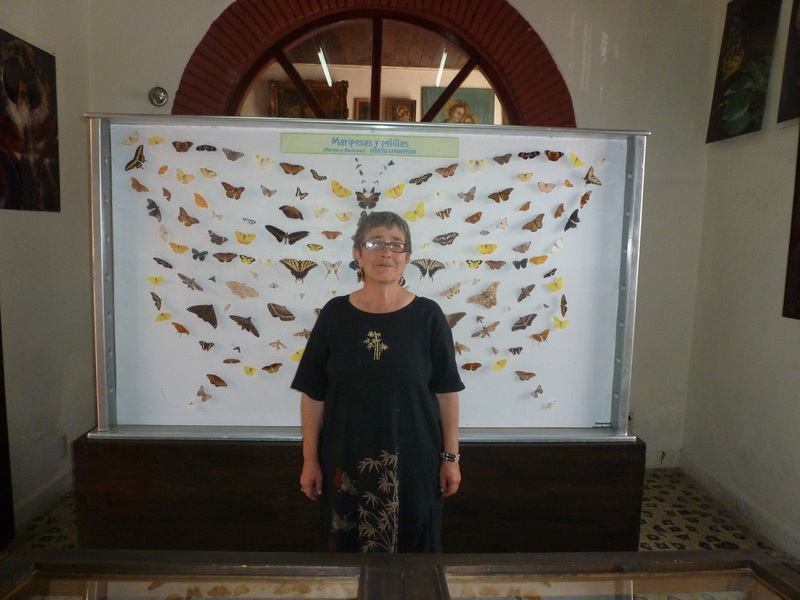 The unique museum of insects has living and dead specimens from around Mexico and is run by a pro-insect entomologist who provides the opportunity to hold a live tarantula , (they are very soft and gentle) and also to become the body of a butterfly. And then there's the walking streets with their many sidewalk cafes, the nightly live music from salsa to jazz, the charming churches and the joyfully colored buildings that a part of San Cristobal's unique personality. The group will stay in a charming centrally located hotel throughout the tour. The group will also participate in guided tours to pueblos outside of San Cristobal, including Chamula, site of a church where Mayan ceremonies are regularly performed as well as an extensive artesania market. We will also visit Sumidero Canyon and Cerdo de Oro, for a relaxing trip down the Sumidero Canyon where it is possible to view open-mouthed crocodiles sunning themselves on the banks. There will be time for Celebrating Guadalupe as well as wandering, shopping and sharing adventures over delicious Chiapan specialties with their distinct chiles and salsas.